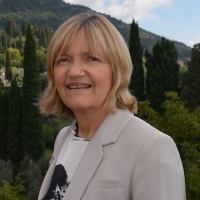 Professor Brigid Laffan is Director of the Robert Schuman Centre for Advanced Studies and Director of the Global Governance Programme at the EUI. ‘It is a deeply historical moment, with unknown and unknowable outcomes,’ explains Professor Brigid Laffan, Director of the European University Institute’s Robert Schuman Centre for Advanced Studies, referring to the UK’s historic decision to withdraw its membership from the European Union. According to Laffan, the ‘Leave’ decision brings ‘contingency, uncertainty and turbulence’ into the global equation, unsettling economies and politics around the world.